He first began his recreational scuba training in 1992 and later began his training as a Navy diver in 1994. He worked as a commercial diver for PCS (Italy) and as a dive master for diving centers in Southern Italy before rejoining the Navy. 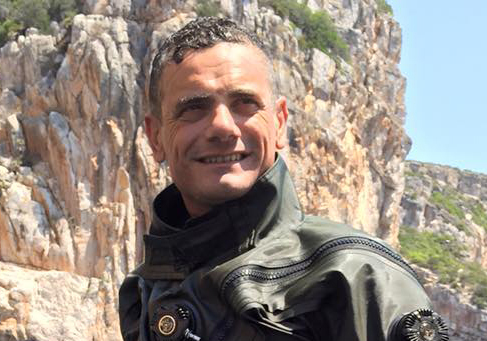 Gabriele worked over 10 years at the main base of Italian Navy divers & Special Forces (COMSUBIN) as a diver, diver supervisor, explosive ordnance disposal technician, ROV / ADS pilot, Search & Rescue operator, and hyperbaric chamber operator/technician. 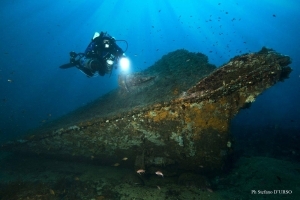 Gabriele has been part of the inspection and recovery of shipwrecks, submarines and aircrafts including: Canadair – Palermo 1996, F104 –Trapani 1996, TOTI Submarine – Cremona 2005 and Ardena Shipwreck – Greece 2009. His national & international mission activities have included: Enduring Freedom – Persian Gulf 2002, Bilateral training Bulgaria 2003, Lake Garda Clearance diving 2002 – 2006 and SNMCMG2 – MedSea 2009. He has participated in several national and international/NATO exercises including: Deep Divex – Curacao 2008, Deep Divex – Portogallo 2010, Ex with USNAVY in Sigonella 2010, Ex Mare Aperto 2008, Ex Loyal Mariner 2009, Deep Divex Canada 2011, Deep Divex Italy 2013, Deep Divex Norway 2015 and other.